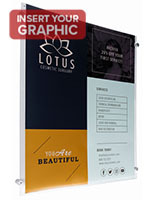 These 17" x 11" standoff signs with card slot display horizontal posters between (2) plastic panels. 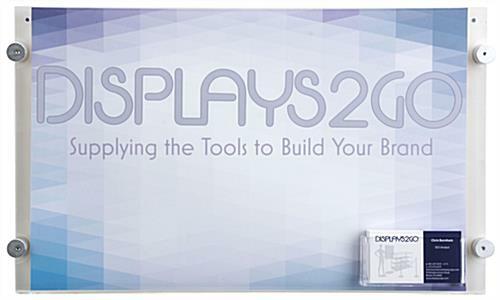 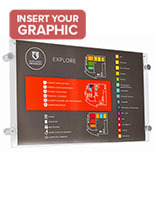 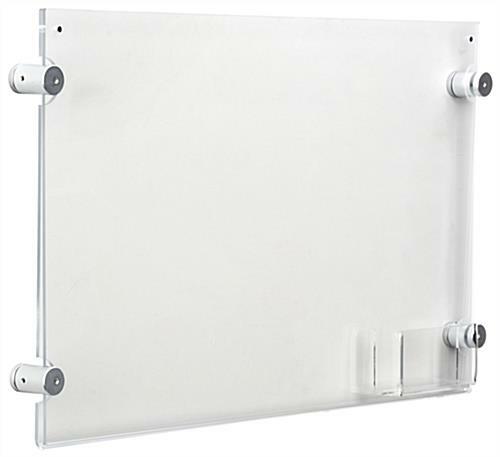 Each acrylic wall display mounts to vertical surfaces with (4) aluminum spacers. 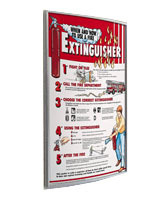 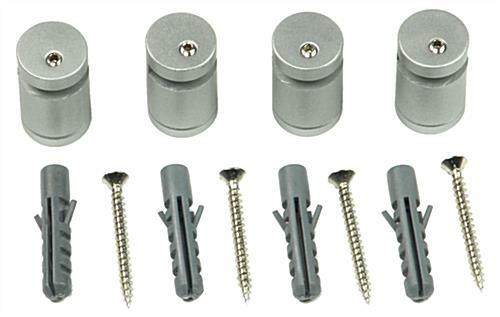 Included with the 17" x 11" standoff signs is installation hardware for immediate set up. 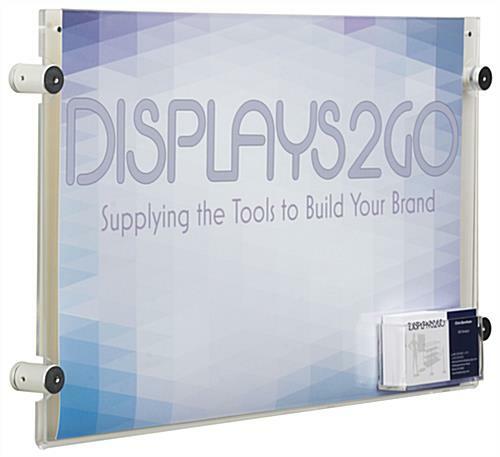 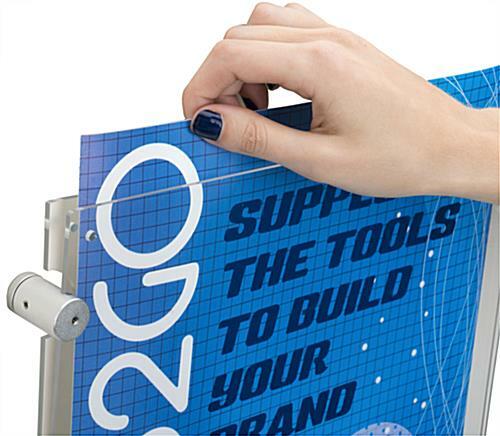 The plastic frames secure graphics with magnets to make changing inserts easy. 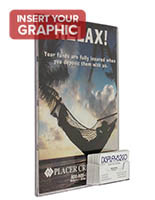 The horizontal standoff signs are ideal for placement in hallways, on doors and in waiting rooms. 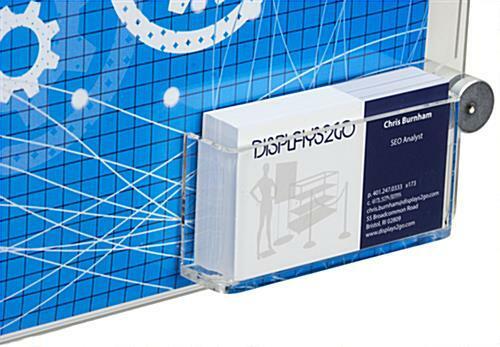 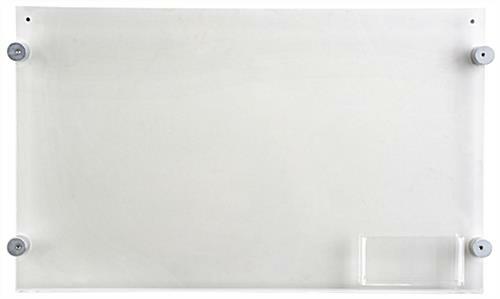 Each of the acrylic wall mounts can hold 50 namecards in their pocket.